Research has shown that a chemical called Bisphenol A, used to make hard plastics and the resin linings of canned foods, is present in the bloodstream of more than 90 percent of Americans. The plastics, food packaging and chemical industries, long having vouched for the safety of BPA, don’t dispute that Americans are frequently exposed to this chemical through their diet. But industry trade groups like the American Chemistry Council have heavily lobbied and argued that the presence of BPA in human samples shouldn’t be a concern, because they say that BPA leaves the body nearly as quickly as it enters. “Extensive scientific studies have shown that BPA is quickly metabolized, excreted and does not accumulate in the body,” the American Chemistry Council said in 2010. At that time, the ACC was criticizing the Canadian Minister of the Environment’s decision to list BPA as a toxic substance. But those conclusions are hardly the last word, as a new, worrying study conducted by a United States government agency reveals. Researchers working for the CDC’s National Institute for Occupational Safety and Health took urine samples from 77 workers over a one-year period. The workers were all employed at United States companies that produce BPA or food packaging products containing BPA. The results, published January 1, say that the workers on average had levels of BPA in their bodies on average more than 70 times higher than the general public, a strong indication that BPA can be absorbed through skin contact and that it does in fact accumulate in the body. “It resets the argument that ‘100 percent [of BPA] is gone in a day,” Frederick vom Saal, a University of Missouri-Columbia researcher, told the Environmental Health News site. Vom Saal, who was not involved with this study, has an extensive body of his own research suggesting that BPA is in fact harmful to humans, even at small doses. In a statement to ConsumerAffairs, Steve Hentges of the American Chemistry Council responds: “It is important to note that this NIOSH study has little relevance for consumers, but may be informative for some workers in manufacturing facilities that use BPA." He argues that “since this study was designed to look at exposure only, it is incapable of evaluating whether BPA could cause health effects in workers or could accumulate in the body...the FDA and many government agencies around the world have concluded that the low levels of BPA in consumer products are safe." Because federal regulators in the FDA and the EPA still consider BPA to be safe, there are no occupational exposure limits for workers who make BPA. 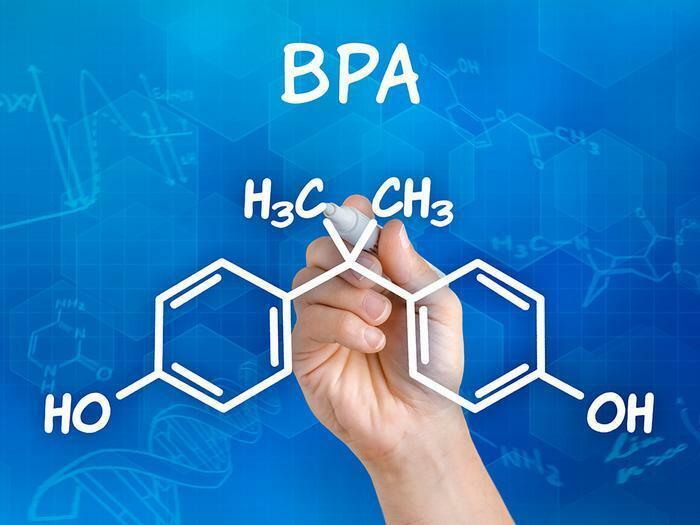 But similar, previous research into Chinese workers who manufacture BPA linked high exposure to the chemical to decreased reproductive hormones and sexual dysfunction. The National Institute for Occupational Safety and Health now advises companies to voluntarily search for ways to minimize worker exposure to BPA. Among the NIOSH’s suggestions are to minimize the time workers spend in BPA production areas or altogether eliminating BPA from products when possible.